Home>New Songs>Future Songs> Listen To Future & Young Thug's Mike WiLL-Produced "Mink Flow"
Some of the best tracks on Super Slimey, the new collaborative project from Future and Young Thug, come deep in the tracklist. "Mink Flow," the second-to-last song features a cinematic Mike WiLL Made It and Pluss beat, bringing out the best of its vocal performers. You can make love in the morning / That Mink flow, I'm warm / Got milly in the safe, come / N---a get turned upside down / I was rich way before the gang / I was slime way before the name," raps Thug on the hook, drawing out some of the syllables in a way only he can. "Ain't leading you wrooo-oooo-oooong." When Future enters about a minute in, he's in full-on rap mode, but by the end he's slipped into some descending melodies of his own. "I fucked this bad European / She took the phone, I think she scheming," he sings, illustrating the trust issues that come with living the rockstar life. "Ain't been to sleep been stopped dreaming / If it ain't stress, you must be grieving / Looks can be deceiving." It seems to be an early favorite of Drake's who posted a video listening to the track at his home studio Friday. Super Slimey was announced only hours before it's release at 12AM Friday. Prior to that, rumors had been circulating about a possible collaboration between Future and Thug. The two worked together on Young Thug's "Relationship" off his Beautiful Thugger Girls project earlier this year. 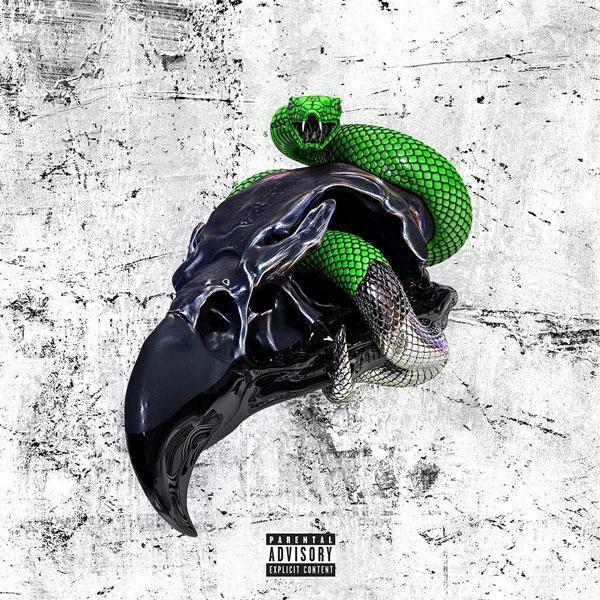 Dropping Young Martha with Carnage earlier this month, Super Slimey is Thug's third project of 2017. It also happens to be Future's third of the year, following the back-to-back albums FUTURE and HNDRXX. Stream the full project, which features production from Wheezy, Southside, Zaytoven, Mike Will Made It, London On Da Track, TM88, and Richie Souf, here. A Boogie Wit Da Hoodie Shares "Day 1"
Lil Durk & YFN Lucci Go R&B On "Feel Good"
SONGS Listen To Future & Young Thug's Mike WiLL-Produced "Mink Flow"